i would pick the character trait ” respectful ”. If my friend is saying something in class to the teacher i would be silent. I would pick the character trait, responsible because when the teacher gives us something to do then I start doing whatever it is right away and I will handle an argument with words and never with a fight. I would pick the character trait “creative”.When I try to come up with something for a drawing or for my book, I always think of something new to make up.I also try to elaborate with logic so the thoughts in my head can come to real life. I would pick the character trait outrageous because if I were to get over with one of my biggest fear I would do it but at the same time I would be terrified. I would pick the character trait unique because I am very weird and i take mostly everything as a complement.I am very different from others. I would pick the character trait…I was ashamed of doing bad stuff now I am not doing bad stuff right now everybody was laugh at me because I was getting in trouble to much and I got good and not bad. I would pick the character trait creative.I like making up games and playing them during recess.I aslo have made up pets that are in some of the games I play. I would pick the character trait talented.I am good at almost every sport.Some sports i’m not good at some sports like tennis. I would pick the character trait kind because I want to be helpful. I would pick the character trait is to be the Candylandia president. Because it will be the funnest world. I would pick the character trait outrageous because if I found one of my biggest fear I would do it so I can get over with my fear . I would pick the character trait kind because I want to be helpful. Another reason I want to be kind is to be nice to others. I would pick the character trait… creative because I make stuff for my toys. I make stuff for my best friends from my old school. I made a bag out of paper and tape. I made two locker and all kinds of things. I made lots of books on paper for my best friends at my old school. I would pick character trait being kind because I want to helpful. and nice to others. and treat others that you wanted to be treated. I would pick the character trait ”trustworthy” because if i am trustworthy people will trust and respect me .It feels good to be trusted and respected. 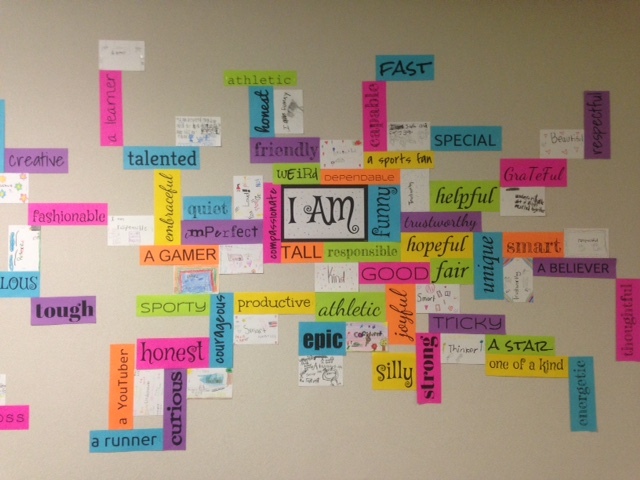 my character trait is …i am very athletic because i train at my moms house.I get better every day. I would pick the character trait helpful because I help others when they need help. I would pick the character trait is helpful because i clean the dishes and sweep. i also help people with their homework. I would pick character trait ” save . I would pick kind because the complete. i will pick character trait being nice to other people….. If you be nice to other people that how they will treat you with respect and care. I pick the character trait responsible because I’m always responsible by finishing my homework, math, reading, and some other things that I also need to finish. And I don’t worry about what other people are doing, I worry about myself. I pick the character trait,I am scared of a bug so I am going to touch a worm. I would pick the character trait of being kind because being kind is to be polite to others being helpful and nice. I would pick the character traits “Trustworthy.” I would pick trustworthy because I don’t want to lie my friends about not sitting next with them at lunch and play with them at recess. I will pick character trait to be very helpful….so everyone could recornize me by a great and helpful leader.